I have completed a bit more of the routing work on the Video board. I still need to add decoupling capacitors and fix up a few other things. 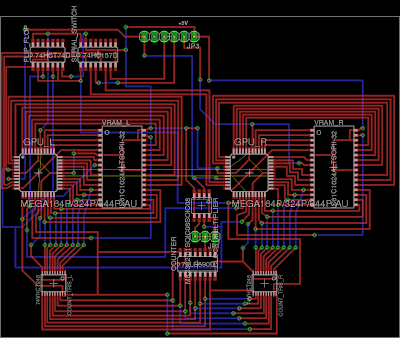 I don't have any ground plane yet, that's next - once I figure out how to do it properly in Eagle. I changed plan slightly with the clear screen counter. In the end I chose an 8-bit counter. That means I can clear a contiguous run of 256 pixels without intervention from the AVR. There is also a jumper selectable 2x or 4x clock multiplier on the counter. 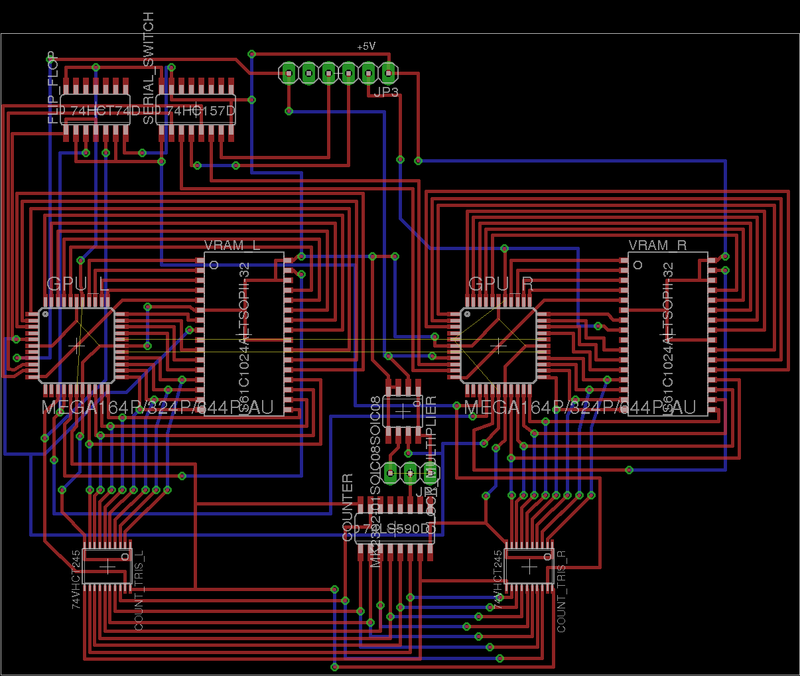 Each AVR will need to increment address bits [8..16] on its own. That should be fine at 4x since the address will only increment every 64 AVR cycles; that is plenty of time to increment a variable and load a port.